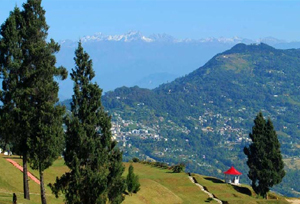 Meet on arrival at Bagdogra Airport or NJP Railway station and drive to Darjeeling - is one of the most magnificent hill resorts in the world. Evening free to explore the area. Overnight stay at hotel. Early Morning at 04.00 AM visit Tiger Hill famous for sunrise over Mt. Kanchendzonga, on the way back visit Ghoom Monastery, Batasia Loop and back to hotel. After breakfast visit Himalayan Mountaineering Institute, PNZ Zoological Park (closed on Thursday) Tenzing Rock, Tibetan Refugee Centre (closed on Sunday), Tea Garden (outer view), and back to hotel for lunch. Overnight stay at hotel. After breakfast drive to Pelling in West Sikkim. The journey runs through the winding road cutting across the valleys, hills and villages and follows the course of Teesta River and then beautiful Rangit River till Legship. Take a refreshing break at the view point near Melli and watch the magnificent confluence of Teesta River and Rangit River. Later continue drive to Pelling. On arrival check-in at hotel. Afternoon, leave for an excursion to Sanga Choling Monastery. En route stop for butterfly watching. Overnight stay at hotel. After early breakfast at the hotel, drive to Yuksom. Begin the walking excursion to Bakhim(12 kms) Located at 3005 m above sea level. 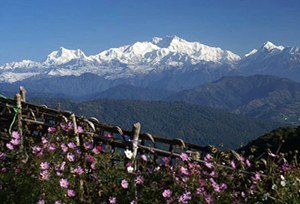 Bakhim lies among beautiful alpine plants and Sikkims famed orchids. Several Himalayan fauna are found here and Bakhim itself has many rare varieties of birds and butterflies. Overnight at camp. After breakfast at the hotel, leave for butterfly watching in Bakhim. After lunch, trek downhill to Yuksom. On arrival Check in at hotel. Overnight stay at hotel. After breakfast at the hotel, leave for Gangtok. 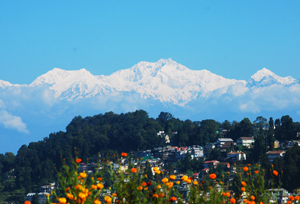 Land of the Pristine and unspoilt natural beauty Sikkim, with alpine landscapes and thick luxuriant forests, rivers in torrent and peaceful lakes. On arrival check-in at hotel. Rest of the day free to explore the area. Overnight stay at hotel. After breakfast proceed to Tsomgo Lake (12,210 Ft) and Baba Mandir a 40 km drive which takes 2.5 hrs. This lake is located very close to Nathula Pass which is the entry point to China termed as the "Silk Route" & remains frozen for most parts of the year. The lake is home to the Brahmini ducks & many migratory birds - Nearby is the sacred Baba Mandir known to be a very holy site for all - Nathu La Pass to Republic of China is nearly 20 kilometers and is optional tour. Later drive back to Gangtok. Evening free for your own activity or shopping around the local market. Overnight stay at hotel. After breakfast at the hotel and drive to Kalimpong. 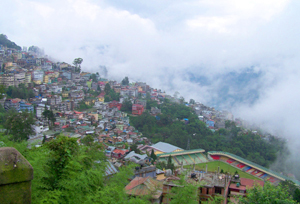 Arrive Kalimpong check in at hotel. Later visit visit Durpin Hill (which has the famous Zong Dog Palri Fo- Brang Monastery which belongs to the same Buddhist sect as the present Dalai Lama), Jelepla View Point, Pine View Point, Kalim Temple, Dr Graham's Homes complex with its historic church & well maintained grounds founded in 1900 by Rev. Dr. J A Graham, a Scottish missionary. Overnight stay at hotel. After breakfast at the hotel leave for a full day excursion trip to Lava for butterfly watching. Evening watch the slideshows of orchids and attend a lecture on orchid farming. Overnight stay at hotel. After breakfast at the hotel and leave for Bagdogra airport for flight for onward destination.